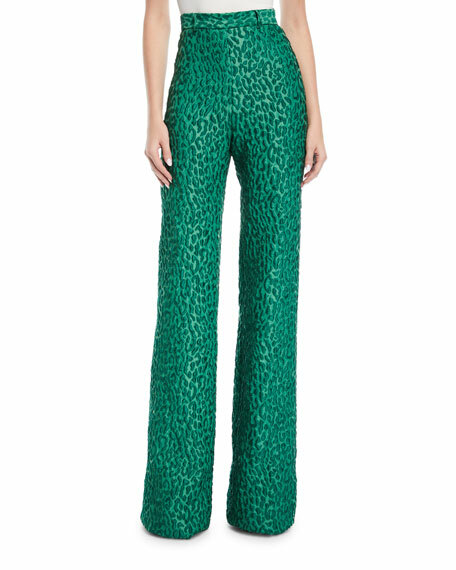 Brandon Maxwell pants in leopard jacquard. 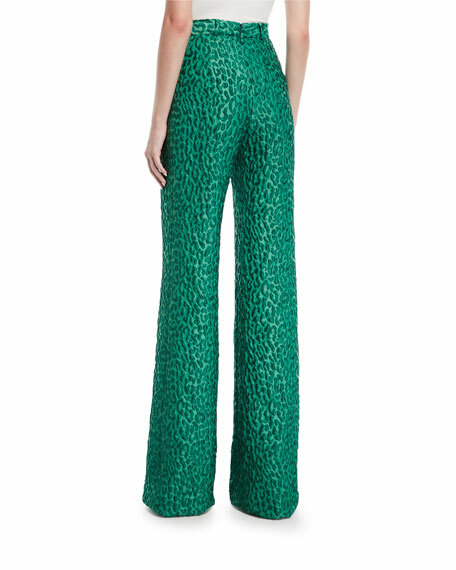 Brandon Maxwell made his name in 2012 as the stylist for a world-famous pop star, and his first designer collection has more in common with the singer's glam jazz singer incarnation than her years as an outlandish provocateur. Inspired by powerful women, Maxwell favors sharp tailoring and sculptural details to make women feel beautiful, sophisticated and powerful. His collections of timeless garments are impeccably tailored and range from suiting separates to evening wear. For in-store inquiries, use sku #2443461.